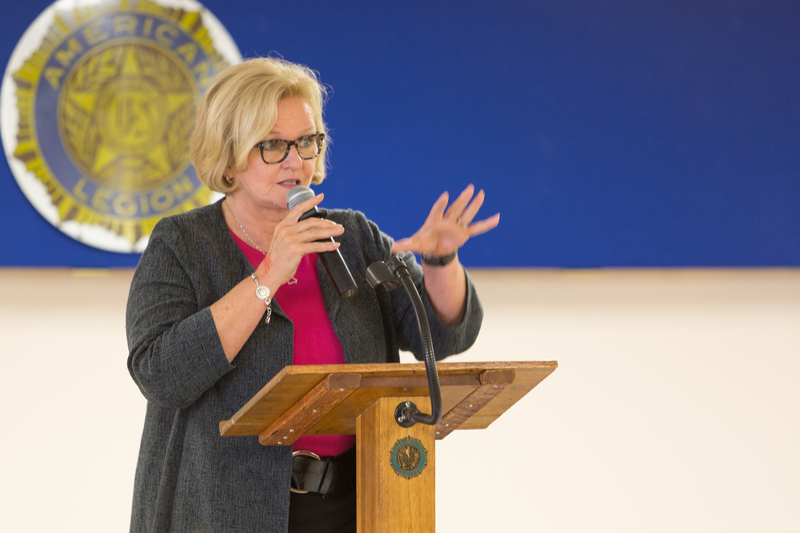 On Thursday morning in Warrensburg Senator Claire McCaskill (D) continued her long chain of open public town halls for Missourians. Close to one hundred people attended and participated in the hour long event. 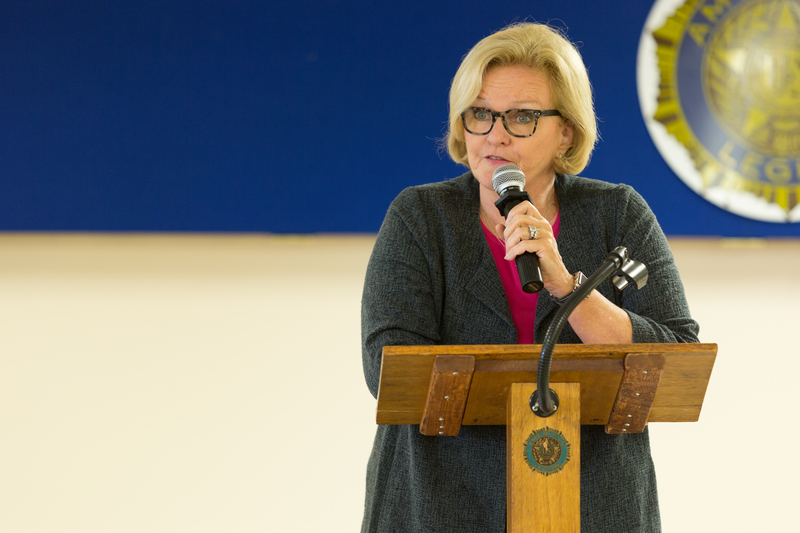 Senator Claire McCaskill (D) – Warrensburg, Missouri – August 17, 2017. 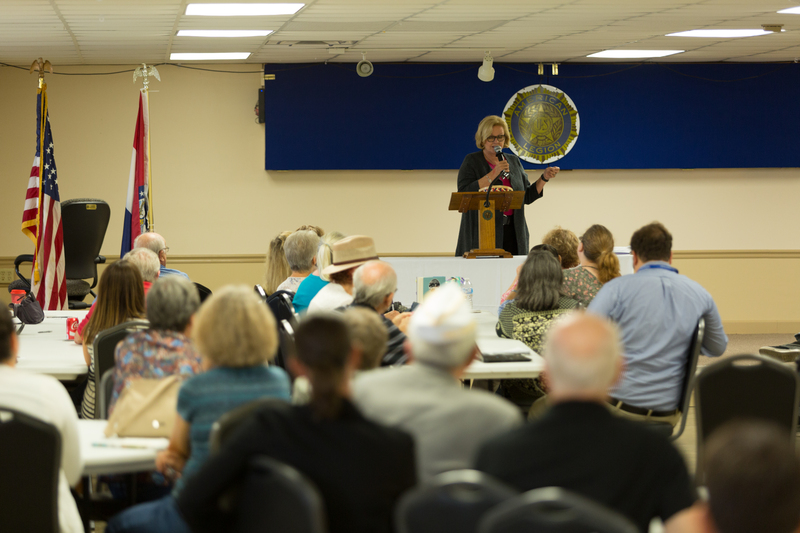 As it has been over the past year and in past years the format for these town halls was the same as previous ones held by Senator McCaskill. Anyone can submit a written question. 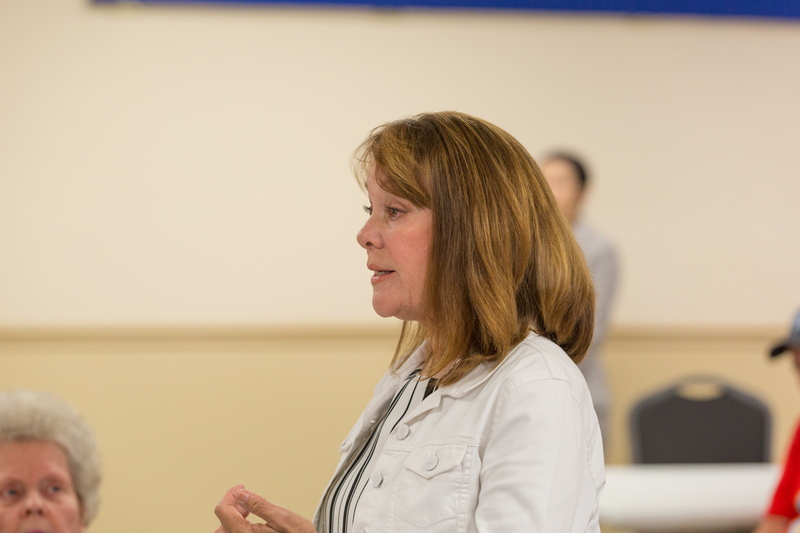 An individual in the audience who volunteers that they “would probably never vote for” the senator is asked to randomly select the questions from a basket. That volunteer gets to ask the last question. 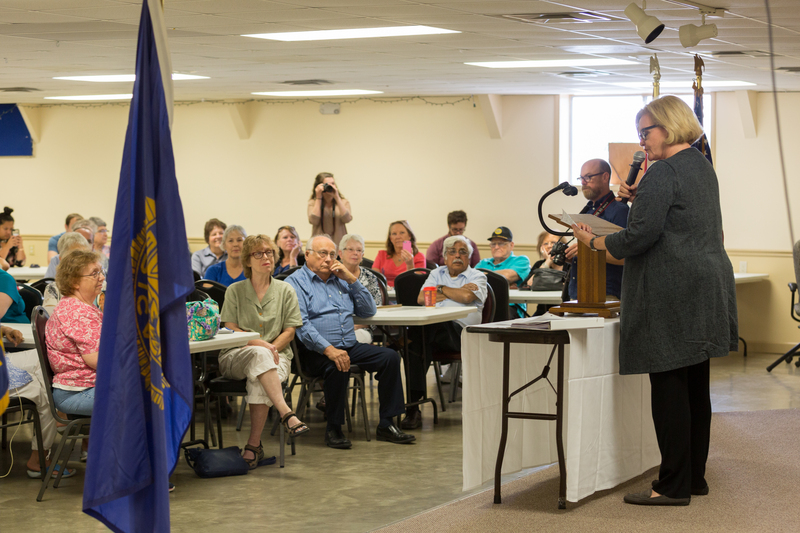 At this particular town hall, unlike previous ones for Senator McCaskill we’ve covered this summer, we noticed that the volunteer was screening out and selecting the questions. Individuals in the audience noticed the same and insistently called him out. The silliness in his behavior, whether it’s emblematic of a larger cultural dynamic or not, is that there weren’t any questions Claire McCaskill hasn’t heard before and couldn’t easily handle. The unfairness in the activity was that some other individuals who had submitted questions for their senator had someone else screen them out of the process. That’s not fairness in anyone’s book. Once the behavior was pointed out it was quickly resolved. Speaking out and speaking up can work. Senator Claire McCaskill (D): [….] Uh, uh, we got a letter. [laughter] Um, this is not a, uh, [voice, in whisper: “Thank you.”] there’s no, nobody put their name on this. [reading] In America we are observing groups decide they don’t like certain statues, nativity scenes, veteran’s symbols, even the American flag. Do you believe a group of twenty or a hundred have a legal right to tear down what they disagree with? What about the twenty or a hundred people standing there trying to protect the statues, nativity scenes, veteran’s symbols? Do they have a legal right to protect it? How would you solve this problem? This week I have watched news channels that have tried to convince everyone that if you are white and conservative you are a racist, white supremacist or neo-Nazi. Are you doing anything in your power to counteract this nonsense? Voice: I’m proud of my question. Senator McCaskill: Yeah, no, not a problem. Thank you for asking it. Um, I think anybody who destroys a public, a public statue or building, anybody who does any damage should be prosecuted for it. Um, so that’s what you do when someone destroys public buildings or destroys public statues. You prosecute them. I think local communities and states should have the right to decide what they want to erect in terms of statues and what they want to take down in terms of statues. I believe very much in separation of church and state. [applause] I don’t think public money should be used to promote one religion over another. Private money, I’ve got no problem with it. Public money, public spaces, should not favor one religion over another. Not in a country that was founded on the premise of freedom of religion. People who came to this country were escaping religious prosecute, persecution for what they believed in. So, freedom of religion is really one of our core values in this country. And that’s why I don’t think public money should ever take sides with one religion over another. Senator McCaskill: I don’t think there’s any question. Yeah, let me [crosstalk]…speak a little to that. Voice: [inaudible][crosstalk] I don’t do that. You know, I don’t do that. Do you think Senator Roy Blunt (r) will hold open public town halls in Missouri any time soon? Or ever?